Victor Hugo was a French poet, and social writer, who championed the cause of others. He devoted a lot of time for others and worked hard to put an end to capital punishment. His works were mostly related to the social issues and romance. He was an eminent painter too who took to painting when he stopped writing and became a politician. He has painted more than 4000 paintings. There are many works including poems and poetries which were published during and after his lifetime. Here is a collection of Victor Hugo's quotes. Let us read them and have a whale of time! 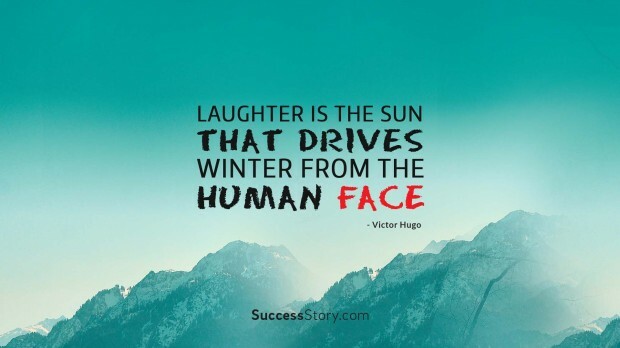 There are many meaningful and enlightening quotes written by Victor Hugo. Music is a thing which sings the feelings of the inner self. Music is a beautiful enchantress which pours romance into the listener's heart. Victor Hugo has beautifully explained music is something which brings out or expresses what words can't and the things which people can't afford to hide. What is life without happiness? We all have days and nights in our life. That is the best and the worst times in our life. Even the darkness of the night fades to bring light. He says that even the darkest night will end and the sun will rise. What a wonderful way to pacify a dejected heart? I can't agree with him more when he says that love is a tree which grows without watering or providing the best environment to grow. It grows deeper and deeper and it is stronger when it is unreasonable. Love is like a seed which is sown into the ground by air.